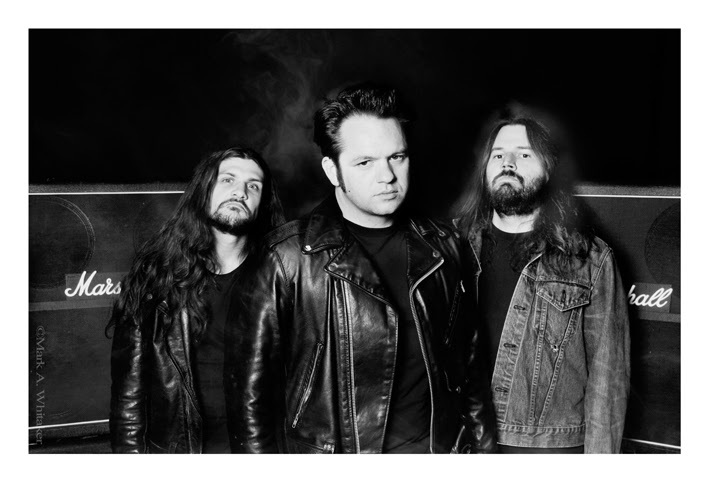 NIGHT DEMON are set to release their debut album, CURSE OF THE DAMNED onJanuary 27, 2015 via Century Media. The first song from the album is "Killer" and can be heard below. There are Pre-Order bundles available at CM Distro starting today and the band will kick off their next tour in January to promote the album. The tour will wrap in California and the guys will headline the L.A. & Orange County shows celebrating their CD release! Singer/Bassist Jarvis Leatherby had this to say about "Killer"
"Inspired by the one and only "Night Stalker", Richard Ramirez! Killer takes you back to the mid eighties terror felt by so many Los Angeles natives as they are tired of living in fear, and are ready to find this monster and bring him down!" There will be a special listening party at GRILL 'EM ALL in Los Angeles on December 18th from 7-9pm. The band and Century Media staff will be there! Come out and join us for a burger and some metal!